Mission Impossible is one of the most definitive spy-action franchises, perhaps second only to James Bond. The franchise started as a one-off adaption of a television series and quickly became its own thing, creating a definitive character for Tom Cruise – a reminder of his meta-action hero status as he does many of his own stunts. Ghost Protocol, the fourth entry into the series was a high-point and helped to revitalise Cruise’s career after his Scientology debacle. Fifth entry, Rogue Nation, was still a decent entrance to the canon and allowed director Christopher McQuarrie to return to direct this new film. Having a director return to the series is new for it and McQuarrie here proves his mettle as he not only improves upon the last film, but also makes one of the best films in the series. Ethan Hunt (Tom Cruise) and his team of Benji Dunn (Simon Pegg) and Luther Stickall (Ving Rhames), are on an IMF mission with three plutonium cores being stolen. IMF head Alan Hurley (Alec Baldwin) sends Ethan on a mission to retrieve them by impersonating an arms dealer and working with fellow arms dealer White Widow (Vanessa Kirby). To elaborate on the plot would spoilt it. With that in mind, whilst I appreciate the film aspires to be more twist and intrigue heavy than its predecessors, the plot seems to lose track of itself and get confusing. The film is very heavy on the exposition and is very difficult to follow in its earlier acts. McQuarrie’s reliance on twists and turns also leads to many false reveals, which lessens much of the gravity of the story. The plot may not have the courage to take some harder turns, but it is still so unpredictable and tense that I was on the edge of my seat throughout. The stakes feel strong, both on a global level and on a dramatic level. There are also a few great dream sequences that highlight Ethan’s personal concerns over endangering others, a concern that often manifests in some intense sequences. The action is the best it has ever been in the series. The focus on practical effects grounds them in our world and lends them realism. 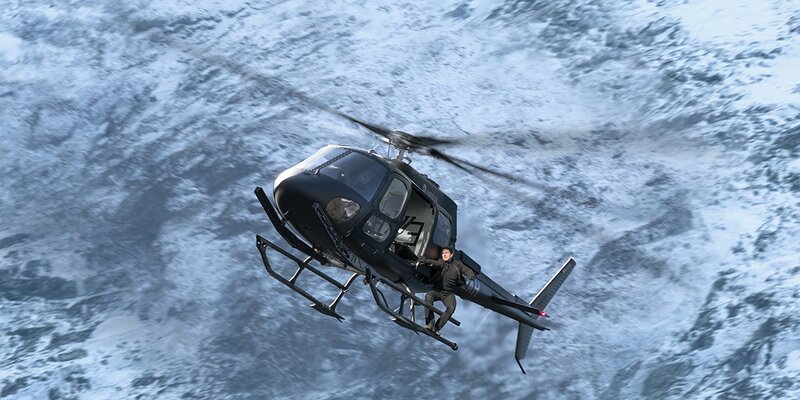 The stunts are both insane and jaw-dropping, especially with the involvement of helicopters. The fights are perfectly choreographed and some of the most violent of the series so far. The action within the film is worth the ticket price alone. Tom Cruise still oozes charisma and has a lot of dramatic moments as well as the expected action. Rhames and Pegg give solid support as Cruise’s team. Certainly, Rebecca Ferguson and Alec Baldwin have more to do with this film and are treat the audience to some emotionally intense scenes. Furthermore, Vanessa Kirby is a compelling femme fatale with an unexpected connection to a previous film. Perhaps the standout actor of Fallout is Henry Cavill, who is intimidating and fierce and plays with solid chemistry with Cruise, being both morally ambiguous and occasionally antagonistic. Both the cinematography and editing are fantastic, Rob Hardy adds a gritty yet polished look to every shot and keeps action scenes clearly shot. The film, which stretches to 147 minutes, never has a dull moment and is never too rushed. Lorne Balfe’s score is memorable and McQuarrie’s decision to strip away the music from some key moments, only makes them more impactful. 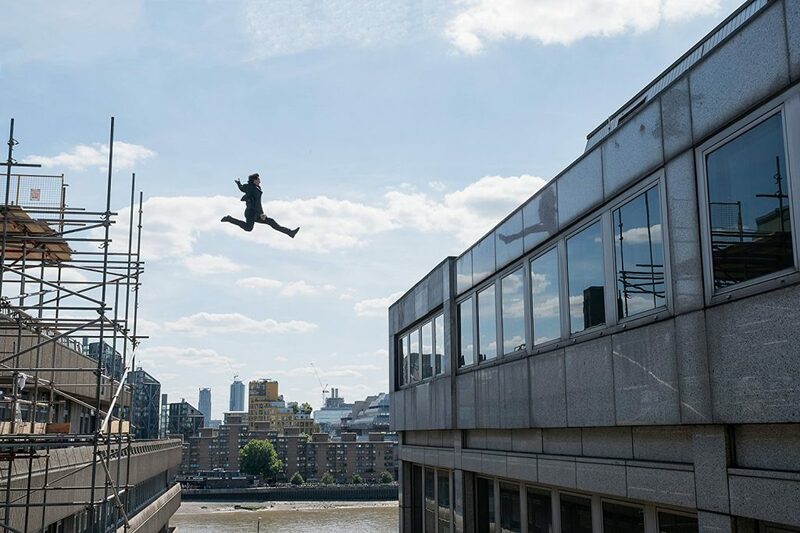 Mission Impossible: Fallout is one of the strongest entries in the series, and although not a perfect action film, is certainly one of the most interesting of the last decade. Finishing the franchise here would not be a bad idea, but if future entries can maintain or even top Fallout’s excellence, I would be happy to see the series continue.